The Cianjur Adventure Programme is a pioneer in community-based tourism in Java and provides travellers with a great opportunity to experience real Indonesian life in the town of Cianjur, West Java. The Reason that we created this community based tourism in non-touristy town is we feel that most travelers don't get the opportunity to learn and experience the real life and culture of indonesia and it is difficult to go to non-touristy town to find people who can speak English, and Cianjur Adventure has the human resources and the team who speak English and can show Indonesia properly. Cianjur is a small town Located between 2 big Cities of Jakarta and Bandung, about 3 Hours bus ride from Jakarta and 90 minutes bus ride from Bandung, this is a good place to escape big cities and to help you find us, we organise the pick up from Jakarta airport, Jakarta, Bandung and Bogor. Founded in 1998 by a bunch of English Speaking Local, some members of the Team have traveled extensively, the programme allows travellers to explore Indonesia off the beaten path, accompanied by Our team (Andang, Dewa Putu, Jaya, Anthony, Yanty, Encin, and Dio), enthusiastic locals who are passionate about sharing their knowledge of the local culture, nature and cuisine. You can also help local Teachers teaching English, or visit the local school, this is a very good way to interact and mingle with the local. 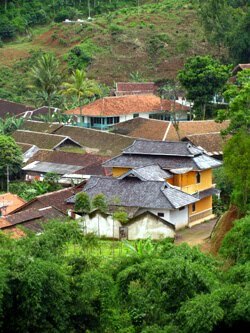 as Cianjur is off the beaten path, there is hardly any tourist around anywhere you go, you can experience the friendliness of local people.